New England School of Communication is known for technology. The whole building is filled with so much technology that food and drink are not allowed. 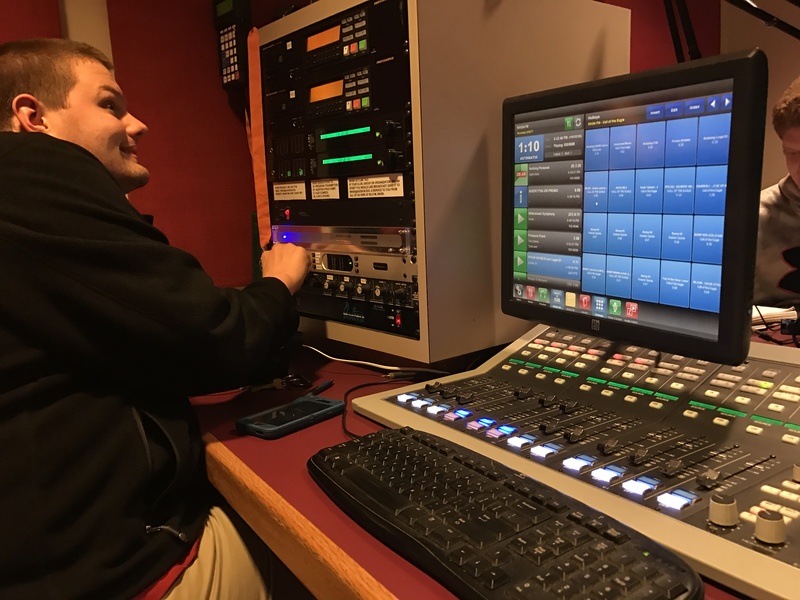 All of the equipment is available to the NESCom students, from the RED Epic, a camera used in Hollywood, to the radio station. Steve Vachon, a thirteen-year video production instructor at NESCom, said he believes the technology helps prepare students for their future jobs. “We always try to get our students as prepared as possible. So even though maybe the equipment may differ from where they get hired, at least the skills that have gone with that piece of equipment they have learned are similar,” said Vachon. NESCom currently houses eleven various models of cameras. 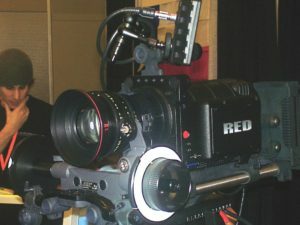 Aside from cameras such as the RED Epic, Vachon described the cameras as being professional consumer-based cameras. Most consumer-based cameras cost about one-thousand dollars. The cameras at NESCom are valued at approximately four-thousand dollars. Vachon said the high-end, forty-thousand dollar cameras tend to show more detail in shadows or “in the greys.” NESCom also houses multiple recording studios with audio boards valued at half-a-million dollars each. The most expensive equipment in NESCom is on a three-year lease. NESCom leases from companies, such as Northern Light, that are third-party distributors. Neither NESCom nor the leasing companies own the equipment. After the lease is finished, these companies take the cameras back, refurbish them and sell them. All NESCom equipment is brand new. Vachon said the three-year lease allows NESCom to keep up with the ever changing technology of video production, which can change in just six months. “I would say that that’s the main goal, that we always have equipment that is as current as possible,” said Vachon. NESCom students Patrick Orkut and Nicholas Maney “definitely,” “one-hundred percent” believe that the equipment at the school will prepare them for a future job. “Once you learn a couple different types of cameras here, you will be able to acquire the skill just to pick up mostly any type of camera and use it,” said Orkut. Orkut and Maney both mentioned seeing the RED Epic and other equipment in Open Houses, and it was an enticing factor. Orkut plans to produce either news or film, while Maney wants to work on documentaries. “Sometimes employers will look at our students and say … can you purchase this piece of equipment that you were trained on at NESCom that we’ve actually thought about buying, but we didn’t know anyone that knew how to run it,” said Vachon. NESCom also has a studio to create news shows. The student-run show NESCom Connection allows students to operate studio equipment as well as direct the show and create video to be played. It operates very similarly to a typical news show. “One of our audio associate professors is from Belgium, and the reason, he could be wherever he wants on the entire planet, and he is happy here. He likes the Bangor area, and one of the biggest things he’s said is that he was enticed by the equipment. He just walked into the school, and he could not believe the quality of audio equipment we had at our disposal,” said Vachon.